My Card Attic: Challenge Fail! Today's card was supposed to be for the current Colour Me challenge that I have never tried for before and the colour was Crisp Cantaloupe, which I have, but . . . and this is where the "fail" comes in . . . it is supposed to be 'monochromatic', and what had I done? Added gold, that's what!! Anywho, I thought I'd share it with you all anyway. This is my card. I went for an ombre effect with the main focal image, which was made with my brand new, only received today, MFT stencil. 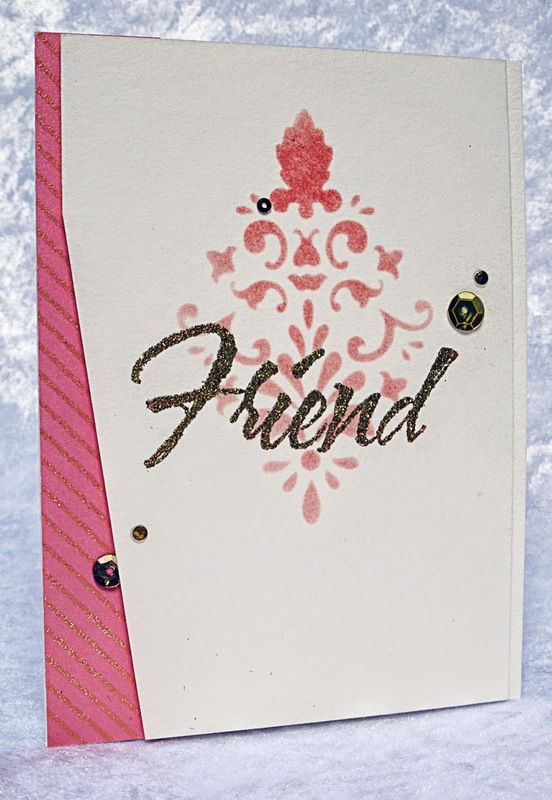 Then I got a piece of Crisp Cantaloupe cardstock and heat embossed it with iridescent embossing powder and an MFT diagonal striped background stamp. I mounted a strip of that down the left hand side of the card base, and then . . . went wrong from there. 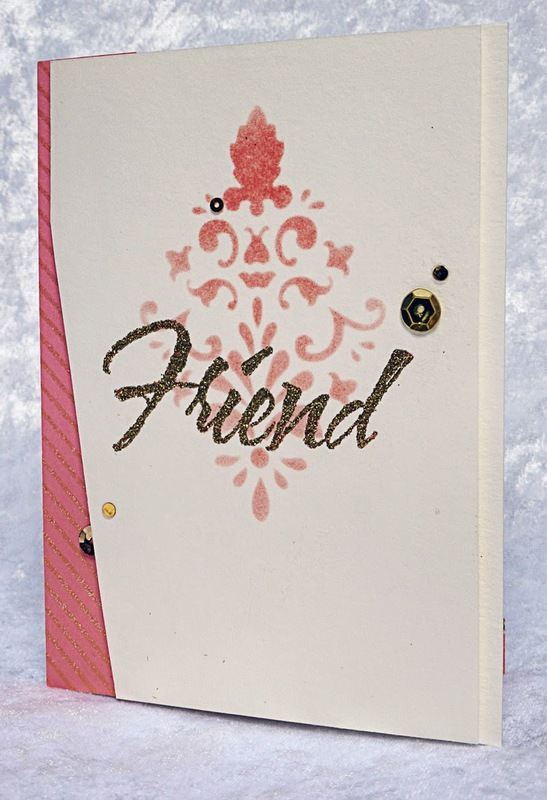 I heat embossed the sentiment - a CC Designs sentiment - with gold sparkle embossing powder (which you can't tell in these pictures) and added a few gold sequins. I then cut the panel smaller than the card base and a little wonky to add interest and adhered it to the card base with foam tape for dimension. I am thinking that I agree with Toni, that gold is a neutral. A girl can't have too much gold or even diamonds. 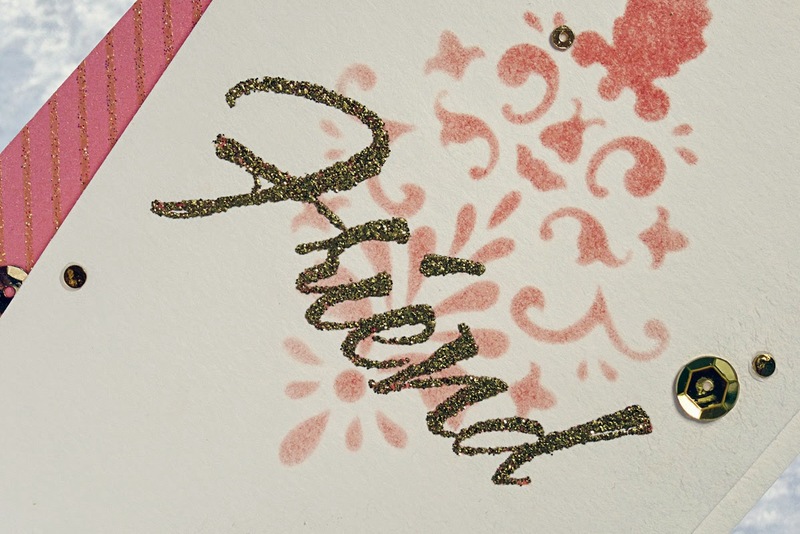 It made me sad to see that you called your card a fail, because I think it is just lovely, and I am glad that you used gold, because it was just perfect for your card. 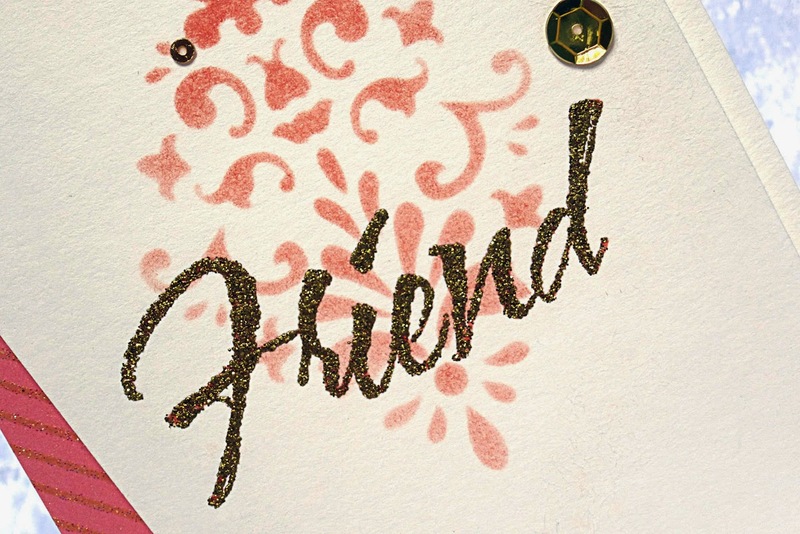 Your card is just beautiful, Hazel and I love the gold sentiment!!!! 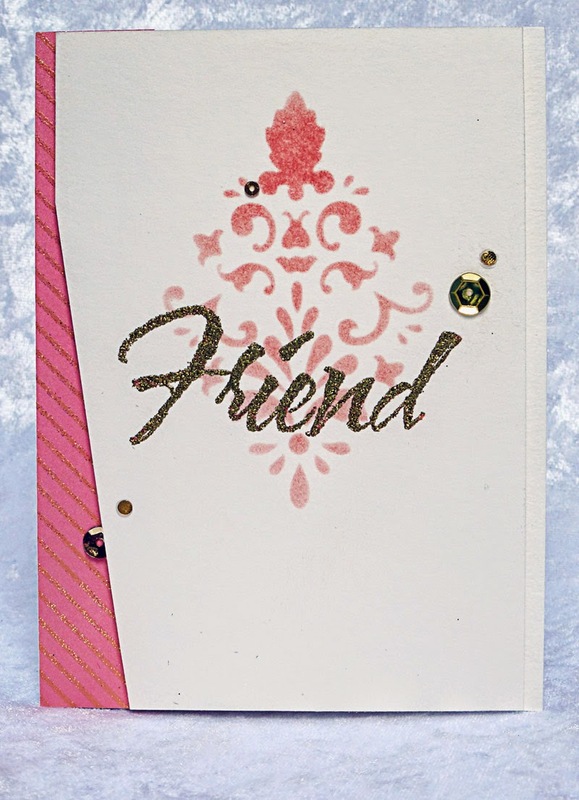 And yeah for using a new MFT stencil - lovely!!! Love that wonky cut on the side - adds lovely interest!!! This card is definetally not a 'fail' in my books!!! I think you did a great job with it!!!! Ha. Been there, done that. My brain loses things on the way from my PC to my laundry/craft room;) This is one cool card anyway. And much better with the touches of gold to match the style of your image.